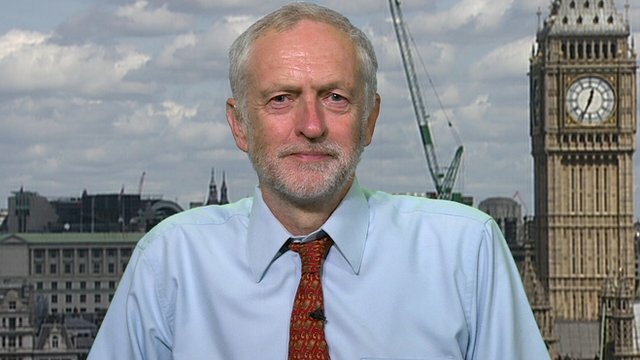 The sky is blue and the grass is green; dogs bark and cows moo; Donald Trump is actually bald and so is Terry Wogan; and finally, Labour is responsible for the economic mess which the Tories are cleaning up and Jeremy Corbyn is a lunatic who would lead Labour into the electoral oblivion. Surely these are just a few truths: statements which, due to their factually correct nature, are impossible to argue with. But they, well the last two at least, aren’t gospel. Instead of portraying realities, the dictums regarding Labour’s economic mismanagement and Jeremy Corbyn’s status as ‘unelectable’, merely indicate the Left’s failure to prevent the Right from owning history, thereby allowing two controversial statements to become part of received wisdom- becoming the truth. In 2008, as the financial crisis was in full swing, David Cameron wrote in the News of the World (remember that) that ‘this government [Labour] has maxed out our nation’s credit card’. The fact that when Labour left office the deficit was incredibly high may seem to vindicate this line of thinking; yet, by writing this article, Mr Cameron was being either economically illiterate or, more likely considering Cameron has a First in PPE, economically misleading. For the credit card analogy to be accurate, the repayment of government debt has to be identical to the repayment of credit card debt. It isn’t. Interest payments on government bonds are much lower than interest payments on credit card debts; and, governments have much better credit ratings than households. These great differences in credit rating and interest rates show that is much easier for governments to pay for schools and hospitals by borrowing than it is for households to buy products through the use of a credit card. Unfortunately, economic reality has not been given a fair hearing and the proponents of falsehoods are believed to be the ‘realists’. The charge that Labour were profligate has stuck: it is a fact of British life. Hand-in-hand with this charge has gone the contention that the Conservatives are mopping up the mess caused by Labour. Polls have shown that in the lead up to the 2015 election the Tories were more trusted on the economy and the fact that Ed Miliband failed to defend himself against the charge that Labour overspent on live TV suggests that the contentions referenced at the start of this paragraph have become ‘truths’. These statements have been spread by right wing elements- the Conservative Party and certain tabloids- within British society: Cameron’s NOTW article is wonderfully representative of this. That these observations have become accepted truths shows a right wing victory when it comes to owning history, and the Right may be about to win another victory on the battleground of the past. 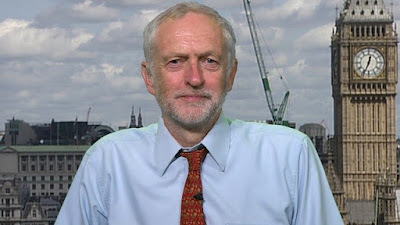 Labour’s history is marked by periods akin to Civil War: the split in 1931 following Ramsay MacDonald’s decision to form a National Government, the formation of the SDP in 1981, and, in 2015, it appears that another war between Left and Right may be about to commence. In order to come out victorious in what can now be described as a ‘phoney war’, those on the right are making an effort to own history. Those warning against Jeremy Corbyn’s election as leader have used a mixture of insults and warnings about a future in the electoral wilderness. Insults are insults which, regardless of who delivers them, don’t deserve to be given much weight and nobody should waste their time bothering to work out what they mean. The use of history, in particular the warnings, propagated by the Right of the Labour Party, of a return to 1983, when Labour lost that year’s election with the ‘longest suicide note in history’, deserves greater scrutiny. The attempt to compare Jeremy Corbyn with Michael Foot can be a misleading one to make as it fails to understand some of the complexities of the past: Margaret Thatcher went into the ’83 election following a victorious Falkland’s campaign and it is hard to see the current administration achieving a similarly momentous military victory before 2020; in addition, Foot was much less democratic in his approach to the Labour Party than Jeremy Corbyn: Corbyn wants elections for Shadow Cabinet posts whereas Foot got rid of the one member one vote system- an event which was instrumental in triggering the SDP split. Though these differences between Corbyn and Foot may not be enough to disprove Blairite accusations, a trip further back in time than the early 1980s might. An MP from the radical wing of the party is standing for leadership, they have been treated with contempt not just by the opposition, but by many within their own party, and it appears as if they are unelectable: for Jeremy Corbyn 2015, see Margaret Thatcher 1975. Granted, the comparison with Thatcher is a pretty basic one- Thatcher had cabinet experience, Corbyn doesn’t- yet it shows that history is much longer, and when combined with the refutation of the ‘don’t return to the 80s’ argument, much more complex than those commentators on the Right of the Labour Party appear to believe. By attempting to own history, Blairites are seeking to show Labour members that they face this choice and this choice alone: political wilderness with Corbyn or a Blairite route to victory. However, this argument is based on a simplified interpretation and presentation of the past which may seem like the truth but in fact struggles to be full and accurate. It might be that this Blairite view of history is merely a misguided one and that the people putting this interpretation forward aren’t fully aware of what they’re saying; however, it might be that, like David Cameron, they know what they’re doing. Either way, for Corbyn and the Left to win, they can’t repeat the mistake of allowing the Right to own history.